For its special “Hamilton” edition from Puerto Rico, “The Tonight Show” set up shop on Lin-Manuel Miranda’s home turf — the stage set of the musical constructed on the island for the special run of the Broadway hit. 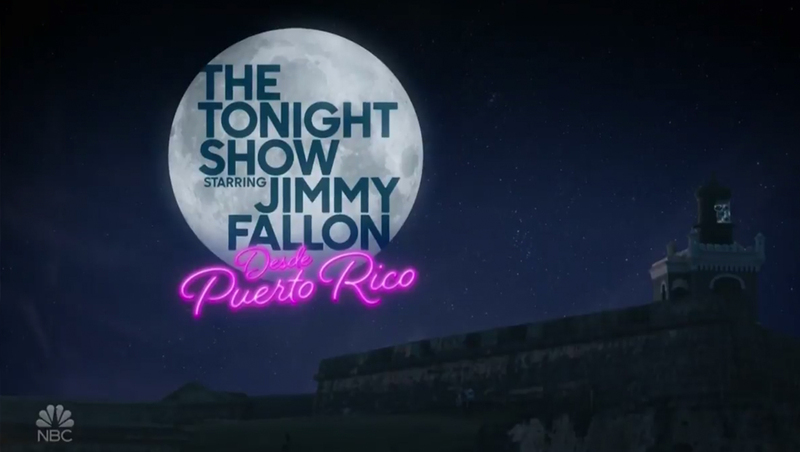 After a cold open taped back in New York with host Jimmy Fallon taking off for Puerto Rico, the show ran an open with local imagery and music. The title card was also updated to showcase the moon over El Morro, a historic fort that is now part of the San Juan National Historic Site (which is part of the U.S. National Park System and, according to the latest update posted on the park website, which the Park Service notes may not have the most recent updates, remains open during the government shutdown, though with limited services). In addition, the title card was updated to include a pink neon “Desde Puerto Rico” (literally “from Puerto Rico”) under it. 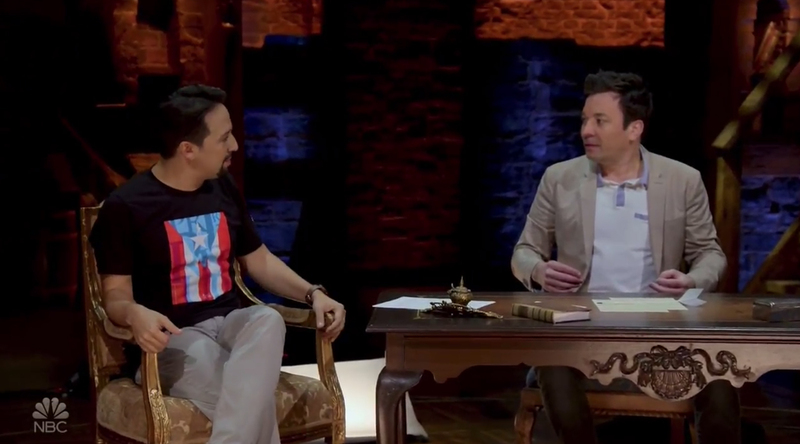 The episode, which aired Tuesday, Jan. 15, 2018, was heavily pre-produced, with Fallon and members of The Roots appearing in multiple locations through the San Juan. 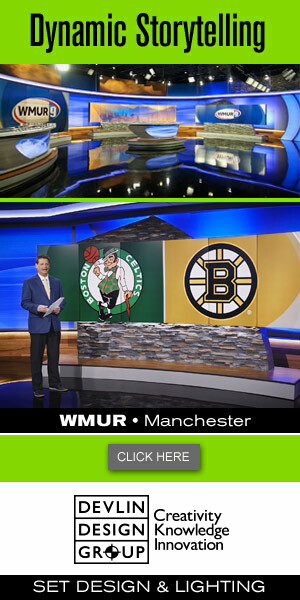 “The Tonight Show,” like many other late night shows, is normally produced “live to tape” style with edits made for content and time considerations. 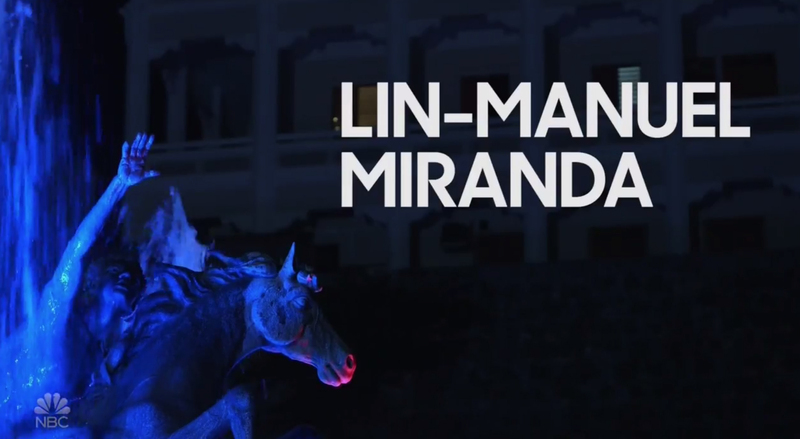 For the special “Hamilton” edition, the show also worked in a partial performance of the appropriately named “The Story of Tonight” from the broadway show — with Fallon joining the cast dressed as a “second” Alexander Hamilton, the character Miranda originated and is playing during the special Puerto Rico run of the show. With Fallon joining the scene, the lyrics were changed to include “Tonight Show” references. A good portion of the show was devoted to a sit-down interview with Miranda, which was taped on the stage set of the show. The show’s set features plenty of wood and brick finishes with a horseshoe shaped catwalk. 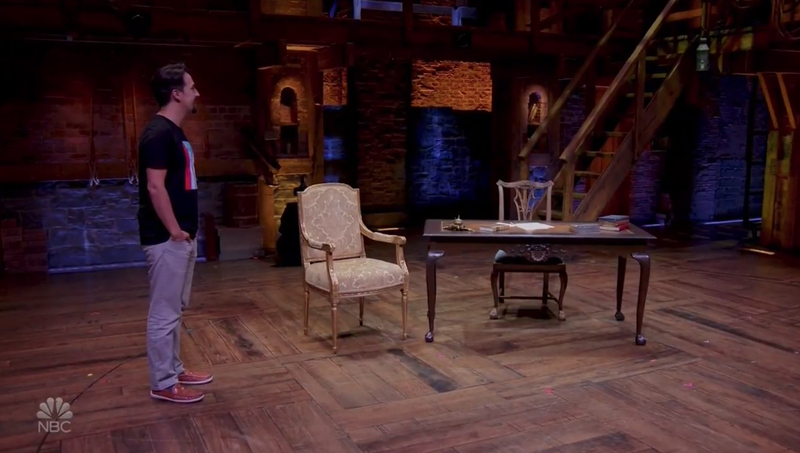 For the interview, the desk and chair used by the character Hamilton, was brought out and placed in the center of stage, with an appropriately styled period chair next to it. 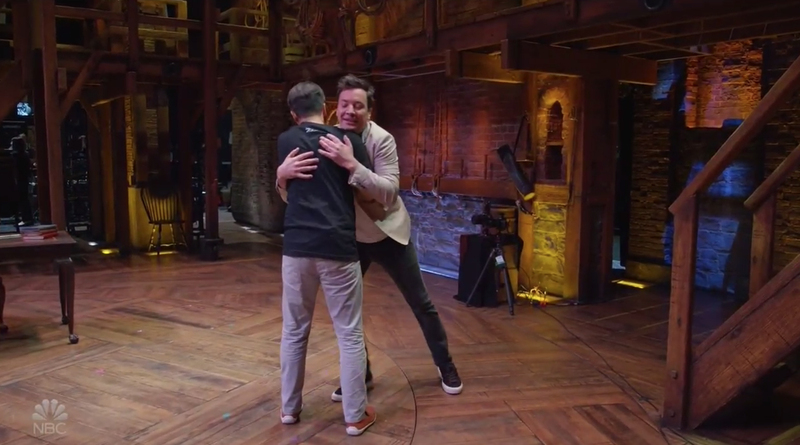 Lin-Manuel Miranda and Jimmy Falllon finally manage to greet each other after the stage’s revolve proved tricky. The multi-ring revolve built into the stage and used extensively during the show was used as a gag that caught Fallon and Miranda in a bit of a tangle. 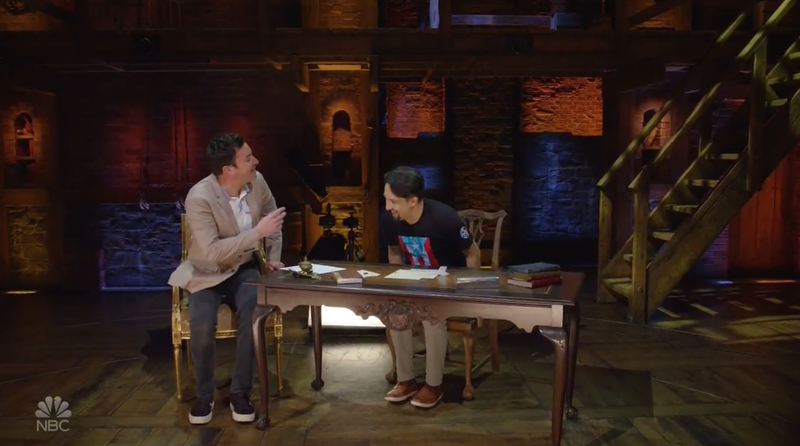 Fallon then took the seat behind Hamilton’s desk, with Miranda taking the side chair — a setup that matched the blocking of the host and guests back in New York. Jimmy Fallon first took the ‘host’ seat behind the desk. However, the seating arrangements became another gag as Miranda pointed out that it was “his” desk, so he should be sitting behind it and the pair swapped seats. However, Lin-Manuel Miranda pointed out he should use the seat since it is ‘his’ desk — and the two traded places.